Birmingham has been bombarded with positive messaging about itself in recent months. The Birmingham Business Alliance tells us that we’re open for business while Mayor Bell promotes a message of a united city. For years we’ve even said how nice it is to have you in Birmingham and look forward to restarting that campaign again on Monday. I for one am quite excited as it gets old just hearing about the problems facing the region without offering solutions or shining a light on the good things going on. It was the original founding principal of this site and one that will continue to be as we move forward. 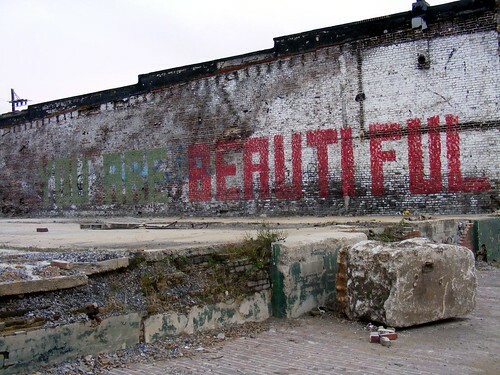 The latest additions to this push for an attitude adjustment have been the two “You Are Beautiful” signs that have been painted in prominent locations in greater downtown – and they are prominent locations. There is no questioning the impact that the original statement painted onto the Highland Avenue Bridge has on the thousands of cars that enter the heart of Jones Valley via the cut through Red Mountain every day. The same can be said of the subtler results that the one located along First Avenue South near Railroad Park’s 14th and 15th Street entrances has on those visiting the city’s newest green space. A quick perusal of you-are-beautiful.com, the site that provides the most likely back story for these signs, lets you know that the interpretation of the signage is up to you. Folks driving in from over the mountain may now be driven to look up information about Sloss Furnaces and the beautiful artwork that is created there nowadays. 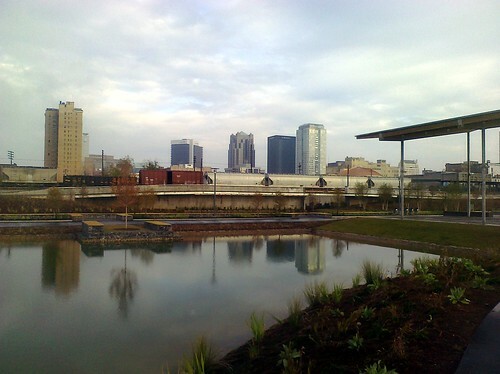 Visitors to Railroad Park have an opportunity to enjoy a gorgeous view of the city that they probably wouldn’t have stopped for just a year ago while imagining just what else is possible. The idea is for the individual to determine just what they’ll do to reach out to the community and get them to dream – and then take action. Yesterday I spoke of this site’s effort to secure a Knight News Challenge grant and said it was the first step in changing the approach that The Terminal takes in serving as a source of information for the city of Birmingham. Now it’s time to draw your attention to changes that will hopefully be implemented on this section of the site in the next few weeks. When this site launched in 2007, this section was called My Birmingham – playing off the excitement of MySpace (yes, I know…). The idea was if folks saw it as writing about the city as their own, it would elicit a great deal of opinions that would lead to interesting conversations. Well, you may have noticed that the header for this section has read Dear Birmingham for two months now. Nobody’s really noticed, though there hasn’t been much reason to visit either. Hopefully they will have a reason to notice soon. I’m a little behind on contacting the folks I wanted to via email yesterday, but a few of them will see something land in their inbox late this afternoon and early tomorrow morning. It will still serve as a “letters to the editor” section. The hope though will be to focus on folks offering solutions to issues and inviting people to use whatever medium they feel appropriate to share their story about or message to Birmingham. It’s my hope that people will agree to help us create additional content about the story behind the words they’ve chosen (perhaps receiving a copy of those thoughts as a benefit of supporting the site). As the tagline says up above, we hope to serve as a hub for the voices of the Magic City – in their own words. It’s also our intent to make it a little easier for people to see those words even when they’re not sitting in front of their computers. That initiative will hopefully be unveiled in early 2011. Right now, all I can ask is for you to check back on the site Monday morning to see how to take part in sharing your voice with your city – and to think about just how you’d do it and what you’d say. I’d intended to write an editorial yesterday about the You Are Beautiful markings currently appearing around downtown. I still intend to share those thoughts tomorrow. That post was to serve as a lead in to this one – the first of a few that will start to spell out the direction this site will be taking over the next few months. The Terminal has just submitted its second ever Knight News Challenge grant proposal just after 12:20 p.m. this afternoon. Here’s a link to the proposal. The way I see it, the only way that you can truly ask people to engage fully is to provide them the tools and information necessary to do so. This proposal is one step in doing just that as we work to raise the voices of the city that we serve digitally (and in other ways) in the coming months. It’s one that still needs some fine tuning in the coming days and weeks ahead. We’d invite folks to add their comments and suggestions here (or on the News Challenge site if you’re one of my fellow online publishers). I have until December 1 to make changes to it and welcome any assistance on that front. The proposal submitted today to the Knight Foundation is the first of several approaches that we’ll be taking to attempt to launch the effort in the next six months. It also speaks to a shift towards being more deliberate about covering primarily the city of Birmingham and providing a digital voice to its citizens. There are a couple of other initiatives that I’m hoping to be able to share with you in the coming days (including one tomorrow), especially since the holiday season provides a great chance to look back while looking forward. The best way that this site can look forward is by identifying ways that we can expand the conversations that are and should be happening in our city and move people towards action and tangible results. Tomorrow’s announcement should coincide with several people in Birmingham receiving an email from me between now and then. I do hope you’ll consider the message it contains and what’s being asked of you tomorrow during the Thanksgiving holiday. André Natta has served as The Terminal’s stationmaster since its launch in 2007. I got into a conversation about an area of downtown known as “the cut” yesterday with someone very familiar with it. It runs down the middle of 1st Avenue South between 20th and 24th Streets South and is considered an important piece of the continuation of the soon to open Railroad Park – providing a pedestrian connection to Sloss Furnaces. I’d recently walked across the 21st Street Viaduct, looked down and noticed a great deal of garbage and debris inside of it. It disturbed me because I’d taken part in one of several clean-ups of the stretch of land while I was a resident of the Birmingham’s Central City neighborhood. I suggested to the individual that it was probably time to organize another clean up the space again, perhaps engaging a new group of concerned individuals in the process while they suggested that perhaps a phone call to the city to do so would be better while finding another way to get citizens involved, like a charrette. When I asked why, he said that it would most likely be the same group of folks who always came out that would do the clean up again since it probably wouldn’t attract any new people. I’ve got a feeling that people visiting Railroad Park in September who’ve still haven’t heard of it as of yet (and live in metro Birmingham) could be motivated to clean up a piece of property for the first time if invited. Perhaps we’ve become so accustomed to seeing the usual suspects all of the time that we don’t always think of new ways to reach out to more people and engage them as well (maybe even using some of the same things that don’t work on the usual suspects anymore). I write those last statements knowing that the majority of the voices that we normally hear online are those of a small minority made vocal due to the majority not necessarily wanting to share their opinions. It would be nice to hear more of those optimistic and positive voices across more of the platforms that we use for communication here in Birmingham, AL. There are some people that need to hear from others like them; from imagining what this portion of Jones Valley can be in a few short years. Luckily, there are a few of them online (and offline – that you will run into every once in a while. I was also over there scouting out a potential location for the office/collaborative space that I’ve talked about before on these virtual pages (BTW – the survey results and other news regarding that project will be posted on Monday morning – along with a few other minor changes to the site in general). As I parked I noticed that the space that I was heading over to stare into again was in fact open, leading to one of those weighted moments where you’re thinking “I know there are other places there but…” That feeling went away when I figured out that the person leasing the space was a long time champion for the neighborhood. His plans for the space reminded me of the hope that I used to hear from merchants and residents in parts of this city that many of the folks in the know actually don’t know. One of the great things about my former job was the level of passion that you could feed off of after a conversation with a property owner who’d been there for 50+ years or a new business that wanted to be where they were because they truly believed in the city’s future. It’s something I’m beginning to find again as the site begins to churn out content again. Getting back in a positive frame of mind is one way to combat the “we’ll never do better” attitude. As more things come online those here in Birmingham, AL will learn to once again accentuate the positive (and eliminate the negative). Avondale Brewing Company under construction. Courtesy of their fan page on Facebook. Is parking availability really a major issue in Birmingham, AL? An issue that has drawn considerable attention in recent months is the number of broken parking meters that currently exist in downtown Birmingham. We have a parking problem, but not the kind that will keep people from coming downtown because they can’t find a parking space. Besides the obvious fact that we like to park right in front of the place we’re going and don’t like having to place our cars out of view, we also are having an issue collecting the total potential revenue that these spaces are supposed to be providing (which could be an issue unto itself). As the city faces a budget deficit from this year and the City Council looks to the city’s reserve funds as part of a possible solution for the coming year, some have turned to the vandalized parking meters as a symbol for what’s wrong. The lack of revenue due to several people (including LKW and myself) taking advantage of the “free” parking available on-street makes the situation the perfect poster child. If you remember, the plan was once to increase parking ticket fees and increase revenue coming into the city’s coffers. It’s ironically something that most states do not encourage as parking meters are meant to be a way to regulate parking options and not to be viewed as a source of income. A quick glance at the Wikipedia entry for parking meters provides several examples of how the revenue argument does not hold up in a court of law even if it would in the court of public opinion. It was also a shame to learn just how many resources were available to deal with the issue earlier this month while reading Kyle Whitmire’s account on Second Front . Despite the city’s reliance on the automobile, it would be safe to say that people are becoming more strategic about when and where they drive, especially as gasoline prices fluctuate and some choose to boycott some stations due to the crisis in the Gulf. A quick drive around any section of the city not called the UAB campus shows that parking options are plenty. For those wondering if there are enough parking decks available in the city to handle the number of vehicles, a recent Heaviest Corner post should put those worries to rest (and give you a heads up on where to consider parking next time you’re downtown). Perhaps increasing the urban tree canopy would make walking a couple of blocks farther just a little more bearable if you had to park a couple of blocks away from your destination. Encouraging the city or an organization to take on a project similar to New York’s MillionTreesNYC may help us reach that goal. The more comfortable and enjoyable it is to talk, the more likely some of these beliefs of parking issues may start to dissipate. There are other potential solutions, but I’ll save some of them for inclusion in tomorrow’s piece. We could also use this need to replace our current collection of meters in certain sections of the city with pay and display units, moving some of these newer units into sections of the city that are not seeing a heavy demand on parking. It would allow for individuals to pay for parking on the street using credit cards and dollar bills, perhaps dissuading the desire to break into the units for money (it wouldn’t necessarily stop those just doing it for the fun of it all – as stupid as that is). Money is still needed to implement improvements to our network of parking management solutions as well as its maintenance. The issue may warrant a serious look in the budget and perhaps an examination of whether or not the city’s parking authority should take over on-street parking as well (something currently not officially in their purview). One day parking availability will be a major issue in the City of Birmingham; I just don’t think it’s there yet compared to the other issues facing the city. We’ve got a parking infrastructure issue (and a psychological one) to deal with first. According to Glenny Brock’s tweet shortly after the Housing Board of Appeals voted unanimously to uphold the Design Review Committee’s decision to deny Chick-Fil-A’s proposal for a new local at the corner of Highland Avenue and 20th Street South, much cheering took place. The battle’s been won (for now). The issue that we’ve got to worry about now is winning the war. The war in this case is what will happen on the site where the Chick-Fil-A was proposed (that is assuming that a lawsuit doesn’t materialize). It’s been reported recently that a long awaited renovation of the 103-year old Terrace Court apartment building across 20th Street South from the site is set to begin, with as much as $4 million planned to be spent on the project. That should somehow influence what is considered for the site. The points (courtesy of Elizabeth Barbaree-Tasker’s comments at the meeting) highlighted by Jeremy Erdreich in this blog post recapping the meeting provide another set of criteria for what could potentially be considered on that site. There are some saying that Panera Bread would be a proper alternative for the proposed Chick-Fil-A location. Any solution that looks at a chain placing a suburban solution on that site is missing what the major point of the battle should have been. It’s been an issue of preserving the character of the surrounding neighborhood. While I’m a huge fan of Panera Bread, I look at their suggested arrival in Five Points South on that site as simply providing a nicer visual but not necessarily dealing with the issue at hand. You will still have a one-story suburban structure with surface parking taking up one quarter of a major intersection in the city’s greater downtown area. The drive-through will not be there, but the traffic from people picking up their take-out lunches will be. I’ve long held the opinion that we live in a region that could serve as an example of what a New South metropolitan area could do in the first part of the 21st century. This intersection and the surrounding community provides a golden opportunity to demonstrate just what that could look like and how it would function. Perhaps it would help if the property owner wanted a solution that was more befitting an intersection that sees an average of 38,000 vehicles a day. Despite the community’s desires, a lot will be determined by what he wants to deal with on that site. This currently means that it will most likely be something that’s one story, at least for now. Joey Kennedy’s hosting a live chat at 1 p.m. on al.com to discuss the issue further, though I’m thinking that people will be willing to accept a wolf in sheep’s clothing rather than actually affect a change in mindset about what Alabama’s largest city truly lives like at its core. There are much more online sources for information locally now than there was when this site started 3.14 years ago today. Those numbers we shared via our Facebook and Twitter accounts back there in March should be making more sense now. The recent conversations about the existence of an online news outlet have led several people to wonder (via email, chat and phone calls) what this website’s place is in the ecosystem. I’d argue that as more voices continue to emerge, The Terminal’s role is easier to define for people than ever before. That’s how Reynolds Journalism Institute (RJI) fellow Michele McLellan categorizes The Terminal in her list of promising local news sites. She’s compiled it as part of her research on the concept of community news sites and how they’re influencing civic engagement in an ever changing digital landscape. 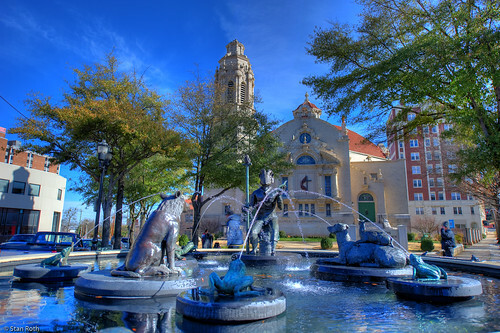 This site was established to become a hub for Birmingham, AL though a better term to use nowadays may be a curator of what’s being said elsewhere. Our news outlets are becoming more important than ever before, with each one, regardless of medium, being better at one area of interest more than anything else. The public is best served by the different perspectives each of these voices bring to any given topic, but currently we tend to stay within our own silos, not necessarily understanding the importance of truly “getting” the other side of the story. The local opinion leaders, especially those that share their views online, also serve an important role in our city’s digital (and physical) information exchange. They help the media outlets see the city’s pulse, perhaps influencing how important an issue is to the general public. I’d argue that several issues have received attention recently because of being the focus of blogs that are read by influential voices in the community. Here’s one of them – parking meters. Local media realized the issue’s importance because of paying attention to all of its voices. The opinions helped continue to raise awareness. Perhaps we view some of these stories as minutia now but it is always interesting how certain pieces eventually affect other broader issues in the region. It’s been interesting attempting to pull together these various perspectives on computer screens across metro Birmingham. That’s what a curator’s job is – take different perspectives on an issue that currently exist out there and maybe get people to see just how they are intertwined. Every once in a while we get the chance to share an original story as well. As The Terminal works to do this (and get better at it), it’s my hope that people realize that we need to be aware of all of the voices around us. If we’re successful people will know that the city can speak with one voice and know that it doesn’t necessarily mean that it’s from one person. Perhaps the use of the word conversation has been flawed as it relates to this journey of storytelling and awareness that we’ve been on. Engagement is the goal of most outlets, particularly knowing that the information that you’ve shared can potentially influence the revitalization or renaissance of a city like Birmingham. The hope is that for every post shared about an event, new website or inconsequential point of interest people will pay attention to the other issues that will have an impact on their lives and feel the urge to either learn more or do something about it. It is a lofty, perhaps insanely idealistic goal, but it is one that hopefully drives the intention of every person that hopes to share another piece of the ever emerging story of the city at the center of Jones Valley. I’m extremely grateful for the opportunity to be included in McLellan’s list of websites (and the operators I’ve been able to meet both virtually and in person) and am thankful for RJI’s allowing us to share this visitors survey with you. I’m looking forward to seeing the results of the survey after RJI has completed tabulating them and figuring out just how to work to improve. They’re offering to help in that arena as well and I look forward to what the results will help The Terminal become. I’d argue though that many of Birmingham’s sources for news and information have learned a lot from each other already – sort of the way an interdependent community should be. 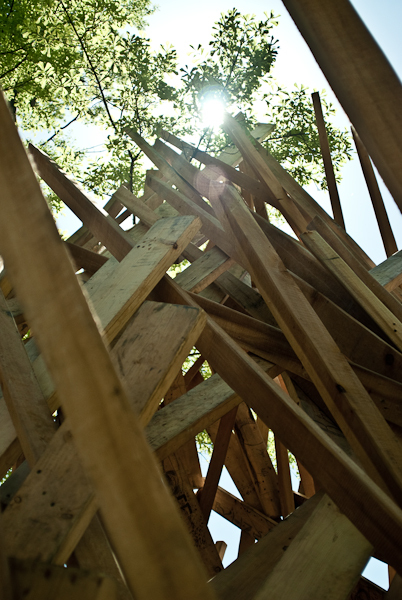 Photo: Magic City Art Connection (6 of 18). Josh Self/Flickr.